Delicious strawberry & vanilla fruit tea, designed specifically for children and made from real tasty fruit with no added sugar. 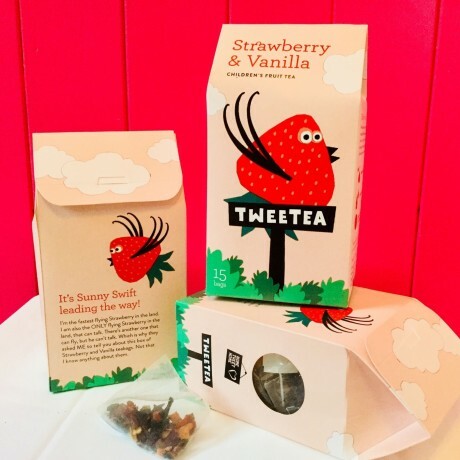 Made with real fruit and flowers, this delicious tea can be drunk as a comforting warm drink or a refreshing cold drink. Think of lazy summer afternoons, picnics in the sunshine, rolling down the grassy bank, fresh strawberries and cream - sensational sweetness. 4 x packs of Sunny Swift tea. 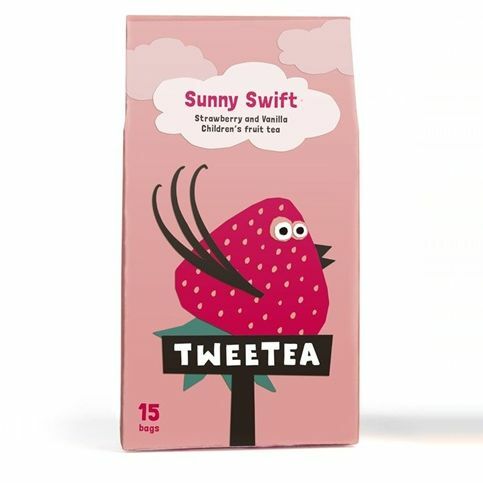 Each pack includes 15 tea bags.